Gift to all my Brides! We watched the video last night, thank you so much, you and your team did an amazing job, the video is magical and exactly what we wanted, lots of laughter but still captured the seriousness of the wedding ceremony. The Drone added amazing footage of the whole venue and we can’t thank you enough, we loved the whole dvd, there wasn’t one bit we would ask you to change, it’s perfect. We also appreciate that you pulled out all the stops to get the dvd to us in a short time frame, than you again. 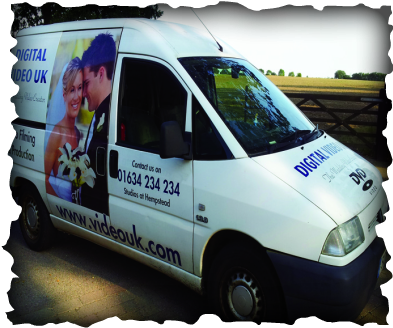 ​Mike & Kelly, filmed our special day we can’t thank them both enough they was amazing so professional & friendly we highly recommend digital Video to anyone. They helped myself and my husband to feel comfortable around the camera to help capture every moment of our special day, we just received our first video gone in 60 seconds which is absolutely amazing and makes us even more excited for our 15 minute and our final video to arrive. ​Mike and Kelly filmed our wedding day on the 14th April 2018. Thank you Mike and Kelly. Gone in 60 Seconds - Jenna & James from Mike Dettmer on Vimeo. Highlights of Dawn and Nick from Mike Dettmer on Vimeo. 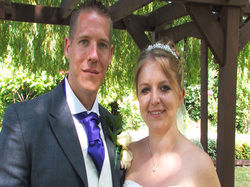 Thank you so much for our wedding video, the highlights are going down a treat with all of our guests, not only do they think it’s a lovely touch but they are very complimentary of the dvd in general. This is something we will cherish for years and we are glad we asked you to film our big day! 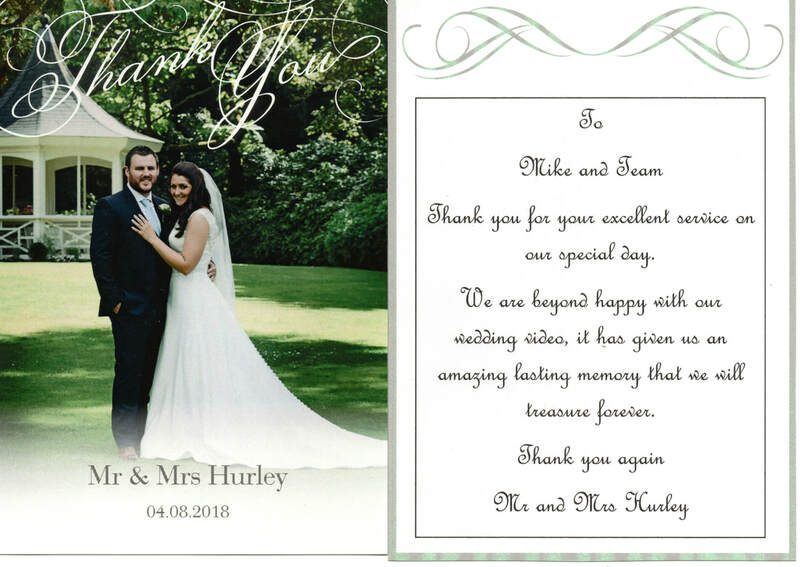 We would highly recommend you to our friends and family the end result is amazing but you were also very professional on the day and made us feel at ease, sometimes we didn’t even know you were filming which is great for the natural shots! Hi Mike and everyone at Video U.K. Thank you so much for everything you did, that helped make our day so special. Our Video is amazing, everyone loves it! The first wedding where we used the Crane cam, note how the shots are framed in the Gazebo, standing outside with the Camera up high we avoided back light problems and were able to be unobtrusive. Thinking of using the Orangery in Kent as your marriage venue? 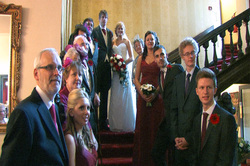 This video may give you some ideas, filmed with just one videographer, it is a good example of our value package. If videos seem sticky you may not have fast enough broadband, click on the HD logo on the right to play in standard definition. I just wanted to drop you a line to say our wedding DVDs were delivered today & we have spent our Monday evening reliving our amazing day!! Thank you so much for capturing such precious moments for us to watch over and again. These memories are truly priceless! A special Thank you for working so hard especially while recovering from your op. I hope you are making a speedy recovery. I will be recommending you to our friends and family in the future for sure! Jenny and Chris June 2013 from Mike Dettmer on Vimeo. We have finally watched our DVDs and what can I say, they are so amazing we are delighted with them! You managed to capture so many lovely parts of the day and it was so nice having the two videos there so I could see everyone arriving. We also love we have the entire day but then also a short one to show friends. Many of of our friends said how discrete you were with the videos, so that they felt relaxed around the camera. I couldn't recommend it more to other couples to get a videographer to be able to watch back so many bits that we had forgotten during the whirlwind that is the day! Kayleigh & Mitchell came over and watched the dvd's we are all very pleased with them, please send 50 copies to our family & friends. Fantastic video Mike Please thank Jim for all his hard work and to make our day for us. Please can we order 2 more copies! Our DVDs arrived safely and we watched it Thursday evening- we were so pleased with it so thank you very much! I just wanted to say thank you so much for the DVDs that you gave us and for the fantastic job that you did on our special day. Everyone that has seen the video has commented on how fantastic it was and what a true reflection of the day it was. Unfortunately, we didn't get all the photos that we wanted, partly due to the weather but also partly due to the maître de not allowing us the time. So your video has been a godsend as we do have everyone captured in it! I believe a friend of ours contacted you about potentially using the video to get some stills, is there any chance that you can help? Once again, sorry for the late thanks. I will definitely be recommending you to anyone who I know is getting married in the future.